Asking why you are doing each run is probably the most important question I runner can ask. Hamish and Hayden discuss the importance of getting behind the run and looking for the reason for the workout. 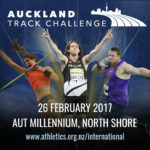 We also catch up on news from the Big Shot and Fast K, Wellington Round the Bays, Brad Mathas’ big PB and preview the Auckland Track Challenge and The Hillary. 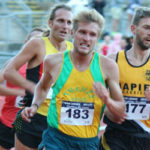 This entry was posted in Kiwi Running Show, Uncategorised and tagged Angie Petty, Auckland Track Challenge, Brad Mathas, Eliza McCartney, Hamish Carson, running coaching, taster, TempoFit, The Hillary, Tom Walsh. Bookmark the permalink.